NSW Country Eagles coach Darren Coleman has today confirmed his playing squad for the 2016 National Rugby Championship. The squad features 10 NSW Waratahs, as well as former Western Force back Kyle Godwin. On the back of impressive seasons with the Waratahs, Andrew Kellaway and Dave Horwitz return for their third season with the NSW Country side. Sydney Uni stars Tom Robertson, Tolu Latu and Paddy Ryan will link with Coonamble junior Ned Hanigan in the forwards, while Warringah backrower Sam Ward and Eastwood prop Jed Gillespie have also joined the Eagles. Eastern Suburbs have six players in the squad, including giant lock Ryan McCauley and former Vikings flanker Rowan Perry. The Eagles open their account against two-time champions Brisbane City on August 27 at University Oval. 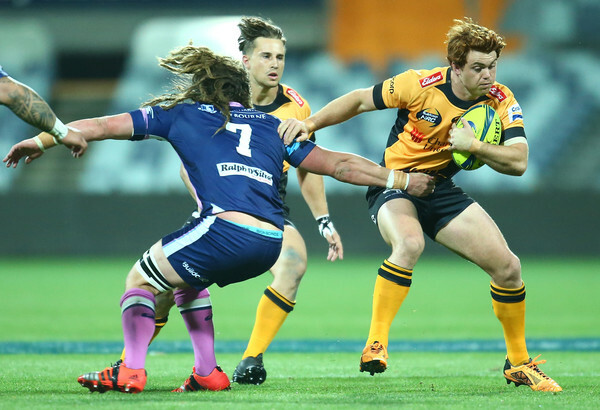 Sam Needs (EASTWOOD), Tom Robertson (SYDNEY UNI), Paddy Ryan (SYDNEY UNI), Sonny Suatala (RANDWICK), Jed Gillespie (EASTWOOD), Cam Betham (EASTERN SUBURBS), Folau Faingaa (SYDNEY UNI), Tolu Latu (SYDNEY UNI), Tim Buchanan (EASTERN SUBURBS), Ryan McCauley (EASTERN SUBURBS), Ned Hanigan (RANDWICK), Will Munro (RANDWICK), Jake Wainwright (SYDNEY UNI), Rowan O’Regan (SYDNEY UNI), Mark Baldwin (RANDWICK), Rohan Perry (EASTERN SUBURBS), Sam Ward (WARRINGAH), Sam Croke (RANDWICK), Sam Figg (Randwick). Jake Gordon (SYDNEY UNI), Mitch Short (RANDWICK), Andrew Deegan (RANDWICK), Tayler Adams (WEST HARBOUR), David Horwitz (RANDWICK), Kyle Godwin (BRUMBIES), Apakuki Ma’afu (RANDWICK), Tom Hill (EASTWOOD), Alex Newsome (EASTERN SUBURBS), Christian Kagiassis (SYDNEY UNI), Reece Robinson (RANDWICK), Andrew Kellaway (RANDWICK), Angus Roberts (SYDNEY UNI), Ernest Suavua (VIKINGS), Charlie Clifton (EASTERN SUBURBS).